Unfortunately, the dress you are looking for (Style: AS-A65964A24, Name: AS-A65964A24) is no longer available. 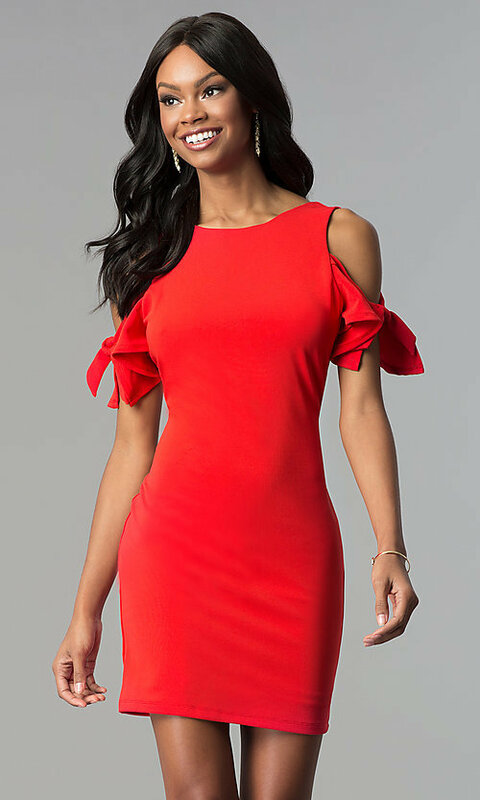 A short red party dress that takes you from a day at the office to cocktail parties and family celebrations is a must-have for the busy fashionista. 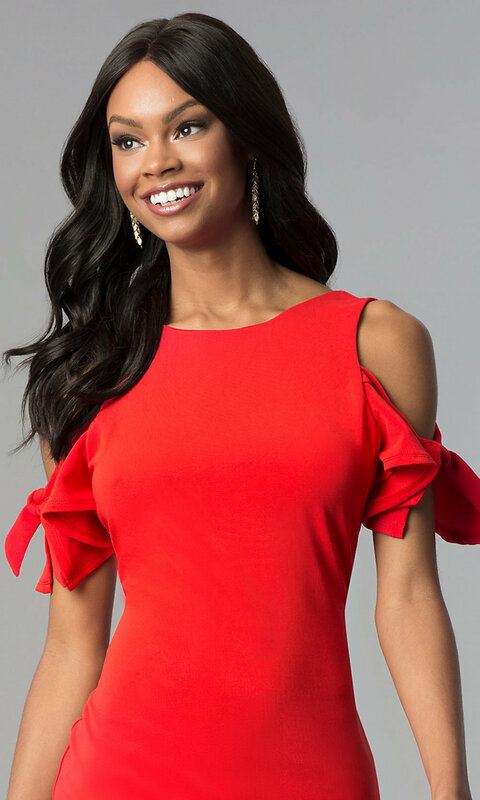 This day-to-night short red sheath dress, from the designers at As U Wish, features a cold-shoulder bodice with short ruffled sleeves that tie at the arms for a sultry look. The short red dress flatters the figure from the high neckline to the hem of the short pencil skirt. Also a sweet style as a wedding-guest dress for semi-formal ceremonies, this short red party dress, under $50, is versatile and affordable.